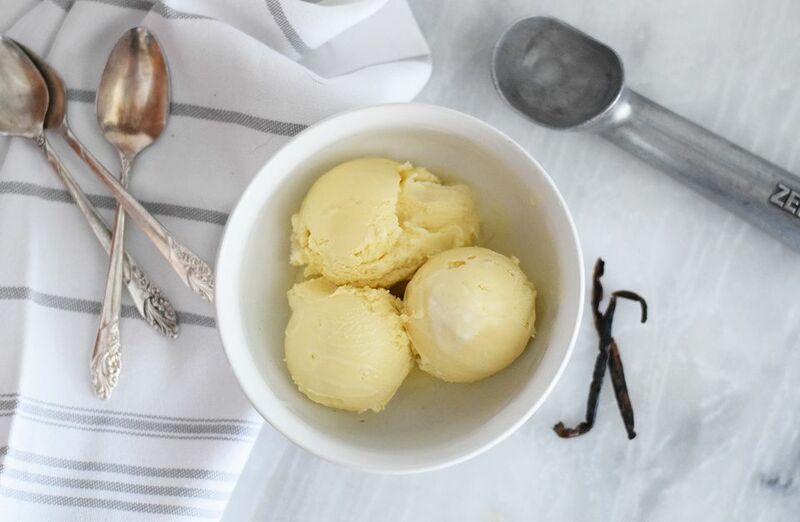 Before you begin, make sure your ice cream maker insert is frozen ahead of time! It needs to be completely chilled, so freeze overnight if you can. The first step in making two quarts of vanilla custard ice cream is heating 2 1/2 cups of half and half. Only heat until there are bubbles around the edge of the pan. Remove from the stovetop and set aside. 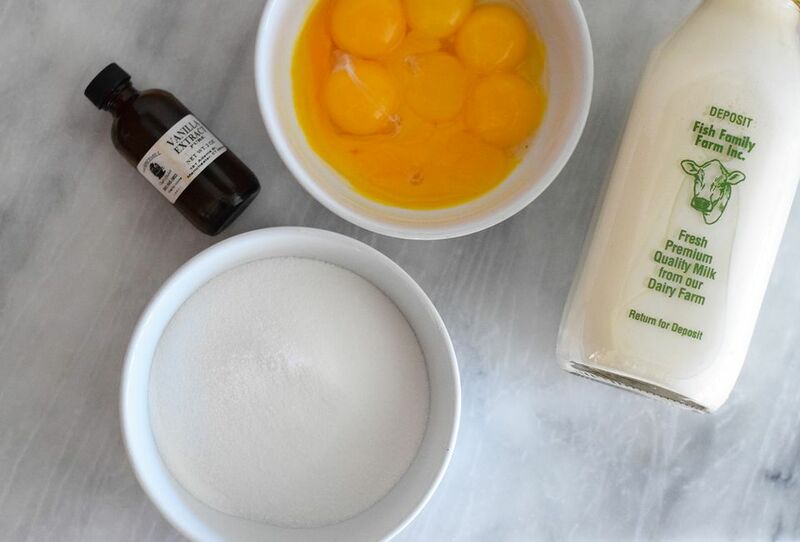 With a hand mixer or in a stand mixer on low to medium speed, beat together the egg yolks and granulated sugar until thickened. This will take less than a minute. Gradually add the warmed half and half and cream to yolk mixture and mix until thoroughly combined. Pour the mixture back into the saucepan. Heat the combined mixture only until bubbles form around edge of pot and liquid is steamy, stirring constantly. In a large resealable container or bowl, combine the heavy or whipping cream with the vanilla and salt. Mix well. Gently pour the warm half and half mixture into the heavy cream mixture. Combine completely. Place a lid on the container and refrigerate overnight. If you've noticed some lumps in your half and half mixture, use a sieve to pour the mixture through into the container. After you have chilled the ice cream mixture, get ready to run your ice cream maker. Be sure to follow your own particular ice cream maker's instructions. Most call for running the machine as you add the cream mixture. While the ice cream is processing, put the container that you are going to use to store the ice cream in the freezer to pre-chill it. Once the ice cream is made, remove it from the machine. Place in the chilled container and store in the freezer at least 2 hours before serving. Eat your ice cream plain or top it with any toppings you enjoy!